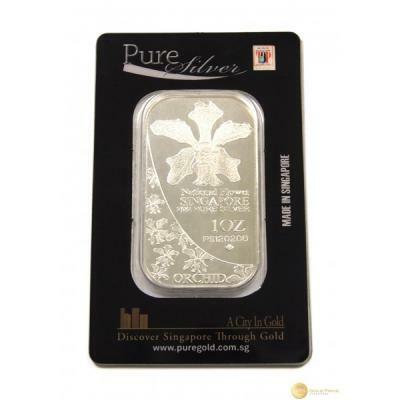 We present to you the one and only, Singapore Orchid 1 oz 999 Fine Silver Bar made in Singapore. The unique Singapore design of our nation "Singapore National Flower". Singapore Orchid 1 oz 999 Fine Silver Bar come in pack of 5 or 10 pcs (vacumm sealed). Pre-launch product are open for pre-order now. Our pre-launch price are valid for limited time offer only. Order now to secure your order with us.